Time is by far the major constraint when you are exploring the Shekhawati region in Rajasthan India. Deeply entrenched in history, royal living, art, architecture and not to forget, a series of fresco paintings, the Sawai Mahopur offers even more attractions for those who are looking to take on this unique combination on earth. This temple devoted to Lord Ganesha, the remover of obstacles is located inside the Ranathambore fort within the Ranathambore park. This temple is unique since the idol of Lord Ganesha in this temple has 3 eyes as against the usual 2 eyes. 3 eyes are generally associated with Lord Shiva, the father of Lord Ganesha. 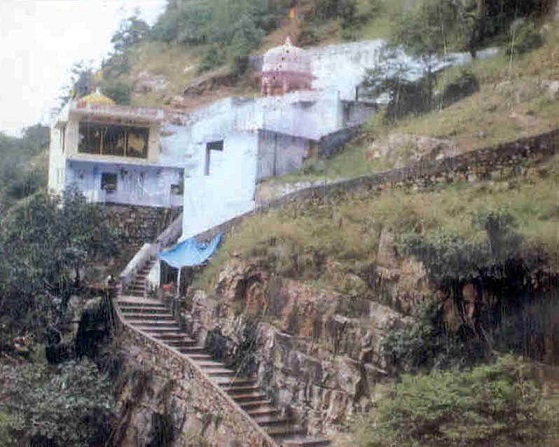 This is another temple devoted to Lord Shiva located inside the Ranthambore forest in an isolated and underdeveloped area. You can reach the temple by taking a left turn from the main entrance to the Ranthambore park and going about 2 kms in the same direction when you can find a small gate that may also be missed if you are not specifically looking for it. The small road from the gate leads you to the temple. All the trouble reaching the temple is worthwhile since you will get to see several natural springs with the water really heavy in sulphur content.